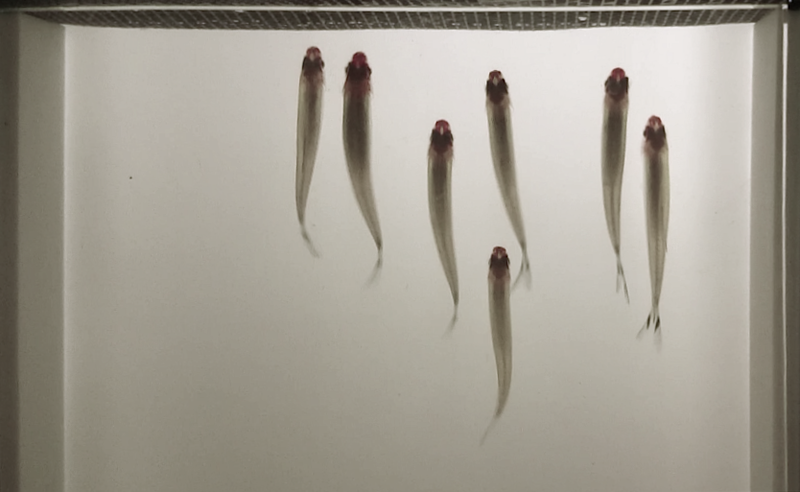 The physical basis for fish schooling is examined using three-dimensional numerical simulations of a pair of swimming fish, with kinematics and geometry obtained from experimental data. Energy expenditure and efficiency are evaluated using a cost of transport function, while the effect of schooling on the stability of each swimmer is examined by probing the lateral force and the lateral and longitudinal force fluctuations. 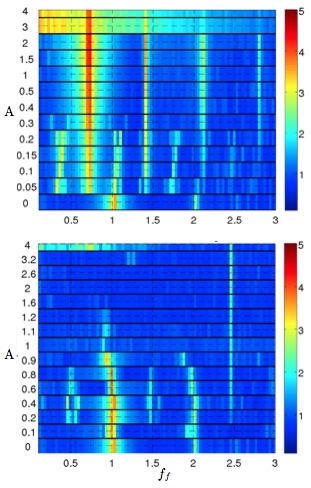 We construct full maps of the aforementioned quantities as functions of the spatial pattern of the swimming fish pair and show that both energy expenditure and stability can be invoked as possible reasons for the swimming patterns and tail-beat synchronization observed in real fish. Our results suggest that high cost of transport zones should be avoided by the fish. Wake capture may be energetically unfavorable in the absence of kinematic adjustment. 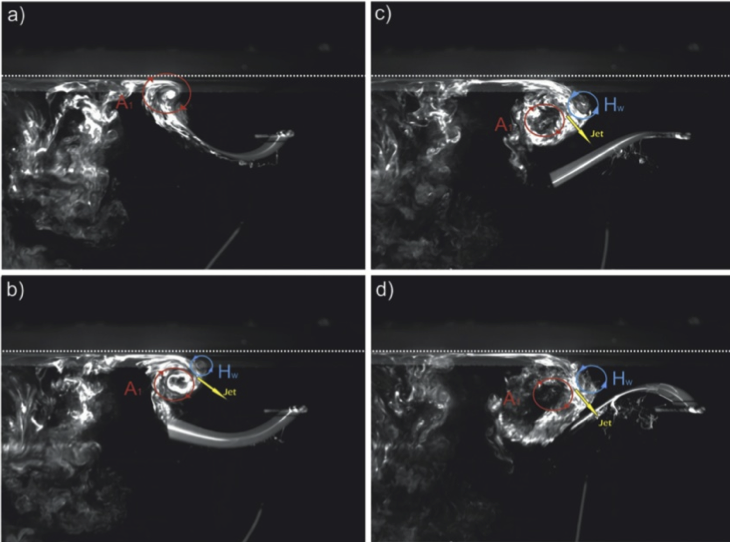 We hereby hypothesize that fish may restrain from wake capturing and, instead, adopt side-to-side configuration as a conservative strategy, when the conditions of wake energy harvesting are not satisfied. To maintain a stable school configuration, compromise between propulsive efficiency and stability, as well as between school members, ought to be considered. 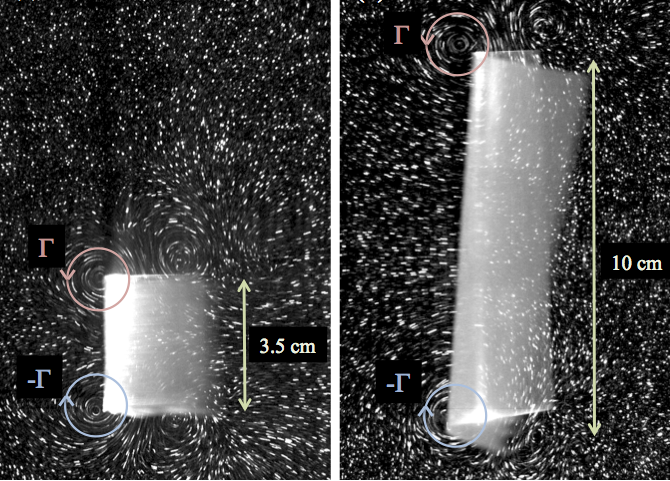 Considerable work has been undertaken for the improvement of wave-energy converters and array design. It has recently been suggested that by extracting wave energy, these farms could also serve to protect shorelines from wave damage. 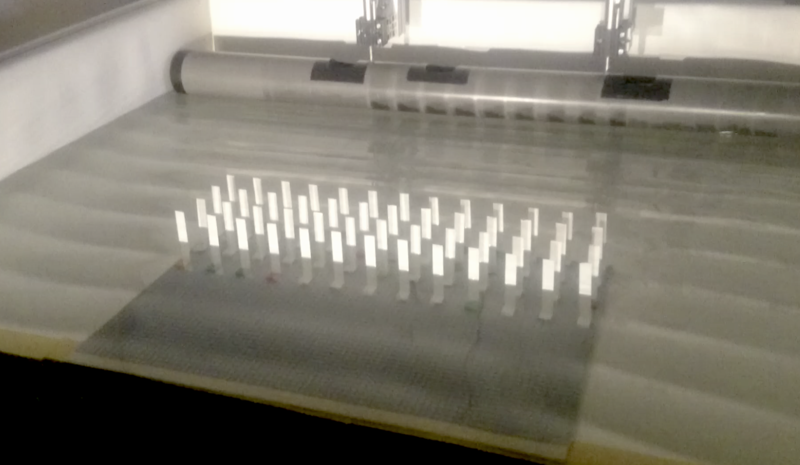 The present work focuses on the local effects of wave-structure interactions within an array of oscillating absorbers to optimize global effects, such as reflection, damping, and energy absorption. We use a model system of flexible blades, subjected to monochromatic waves, and develop a simplified one-dimensional model to predict optimal configurations, depending on various parameters, which include the number of blades, their spacing, and their flexibility. Optimal configurations are found to be close to regular patterns, and the impact of array configurations is shown to be limited regarding wave dissipation, mainly due to a competition between reflection and absorption. Flying insects impress by their versatility and have been a recurrent source of inspiration for engineering devices. A large body of literature has focused on various aspects of insect flight, with an essential part dedicated to the dynamics of flapping wings and their intrinsically unsteady aerodynamic mechanisms. 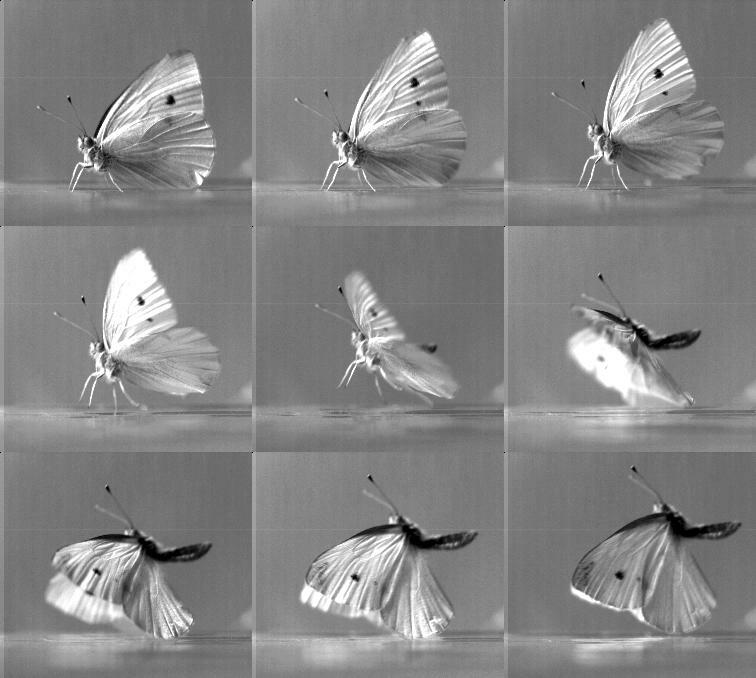 Insect wings flex during flight and a better understanding of structural mechanics and aeroelasticity is emerging. 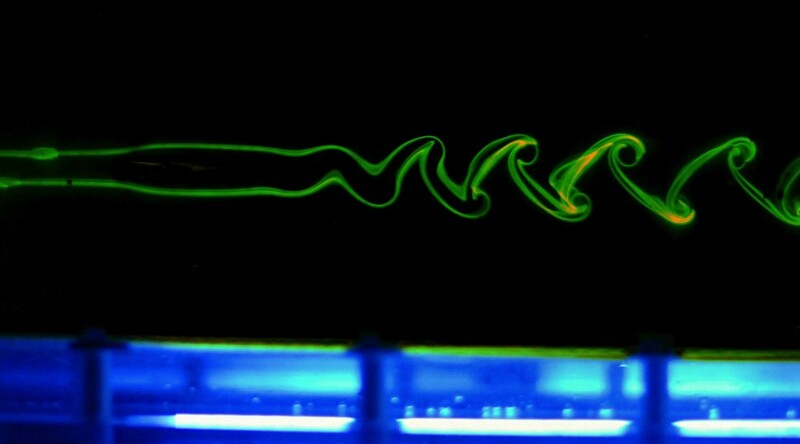 Most recently, insights from solid and fluid mechanics have been integrated with physiological measurements from visual and mechanosensors in the context of flight control in steady airs and through turbulent conditions. 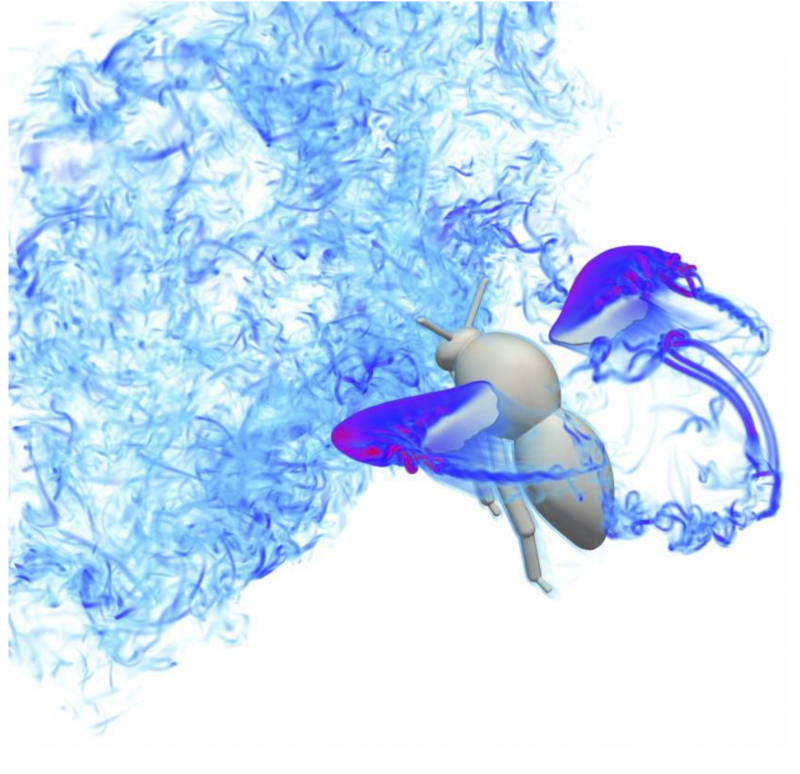 We review the key recent advances concerning flight in unsteady environments and how the multi-body mechanics of the insect structure — wings and body — are at the core of the flight control question. The issues herein should be considered when applying bio-informed design principles to robotic flapping wings. PhD defense on October 18th, 2018, 2:30pm, at the PMMH meeting room (Sorbonne Université, Barre Cassan, Bât. A 1er Étage, 7 Quai Saint Bernard, 75005 Paris). PhD defense on April 4th, 2018, 3pm, at the new PMMH meeting room (Sorbonne Université, Barre Cassan, Bât. A 1er Étage, 7 Quai Saint Bernard, 75005 Paris). The first call closes on February 28th, 2018. Our project on bio-inspired wave-energy conversion is one of the projects selected (project page here). PhD defense on November 10th, at 2pm, in the auditorium of the Grande Galerie de l’Evolution. 1. UMR 7179, CNRS-MNHN, Mécanismes adaptatifs et Evolution, équipe FUNEVOL, Département d’Ecologie et de Gestion de la Biodiversité. Pavillon d’anatomie comparée, 55 rue Buffon, case postale 55, 75231 Paris cedex 5, France. 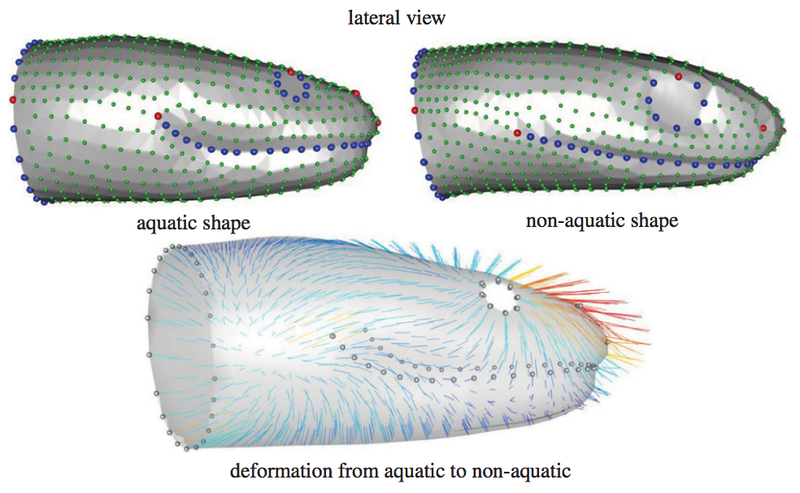 Does aquatic foraging impact head shape evolution in snakes ? Proceedings of the Royal Society B 283 20161645 (2016). 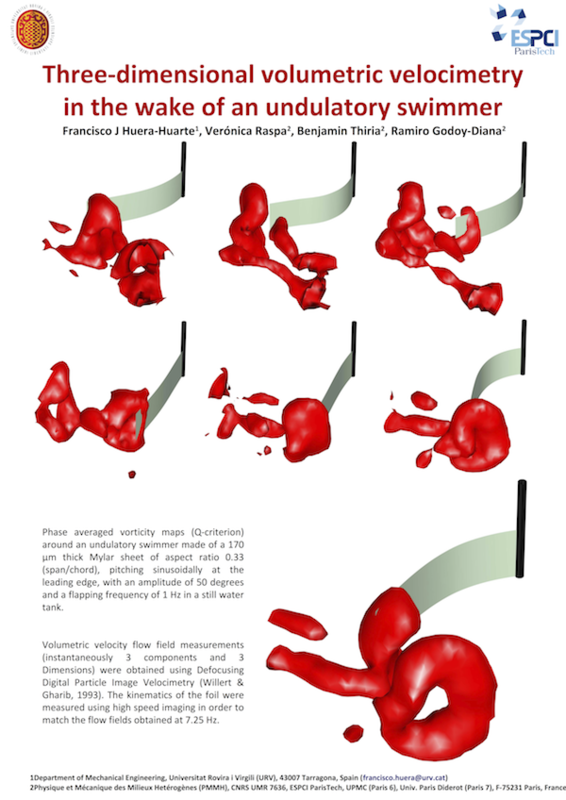 Our last poster in collaboration with Francisco Huera-Huarte from Universitat Rovira i Virgili presented at the APS Gallery of Fluid Motion in the DFD 2015 Meeting. In Klapp et al. (eds. ), Selected Topics of Computational and Experimental Fluid Mechanics, Environmental Science and Engineering, pp. 147-158. Springer (2015). R. Fernández-Prast, V. Raspa, B. Thiria, F. Huera-Huarte & R. Godoy-Diana. Bioinspiration and Biomimetics 10 016003 (2015). Habilitation à diriger des recherches, Université Pierre et Marie Curie, 2014. The present document, prepared in view of obtaining the Habilitation à diriger des recherches, reviews my main research subject at PMMH since 2006, which concerns the study of swimming and flying inspired by nature. 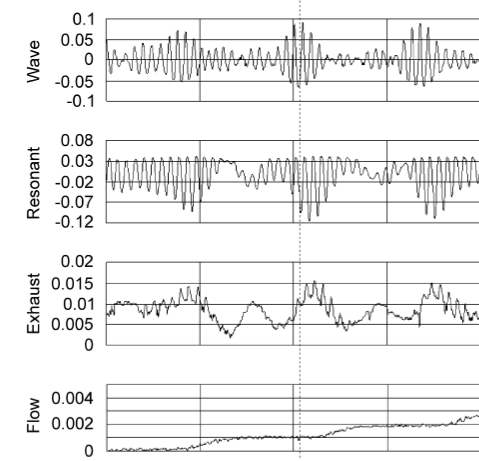 Canonical examples of flapping flight and undulatory swimming are explored using simplified experimental models as a starting point. 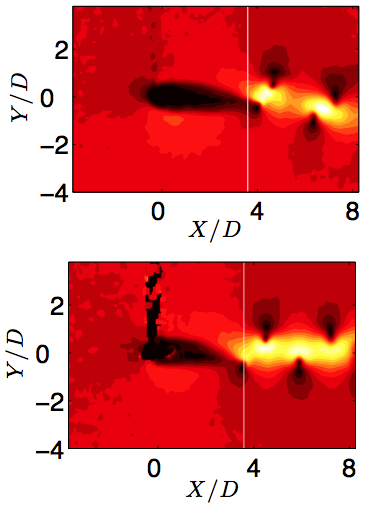 This allows for the discussion of some fundamental questions related to the physics of bio-inspired locomotion at “intermediate” Reynolds numbers. 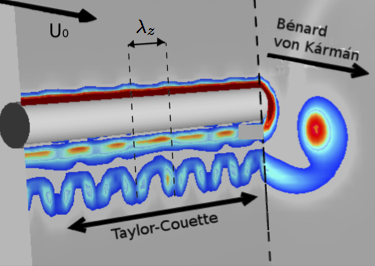 In particular, we address the strong fluid-structure interactions that arise in these problems, where we have focused on: simplified models of flapping foils in hydrodynamic tunnel experiments, especially in the dynamics of vorticity in the wake of an oscillating foil ; mechanical models of flapping flyers with flexible wings in a self-propelled configuration (in the spirit of the pioneer experiments of Etienne-Jules Marey), as well as novel experimental models of undulatory swimming. S. Ramananarivo, B. Thiria & R. Godoy-Diana. V. Raspa, S. Ramananarivo, B. Thiria & R. Godoy-Diana. 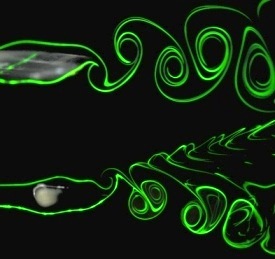 Physics of Fluids, 26 : 041701 (2014). S. Ramananarivo, R. Godoy-Diana & B. Thiria. EPL, 105 : 54003 (2014). Birds and aquatic animals exploit the surrounding fluid to propel themselves in air or water. In inertial regimes, the mechanisms of propulsion are based on momentum transfer; by flapping wings or fins, animals accelerate fluid in their wake, creating a jet that propels them forward. 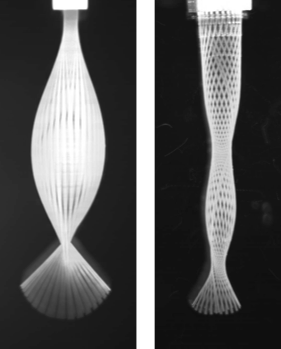 The structures used to move can be flexible, and are thus likely to experiment large bending. Literature showed that those passive deformations can improve propulsive performance, when exploited in a constructive way. The mechanisms at play however remain poorly understood. 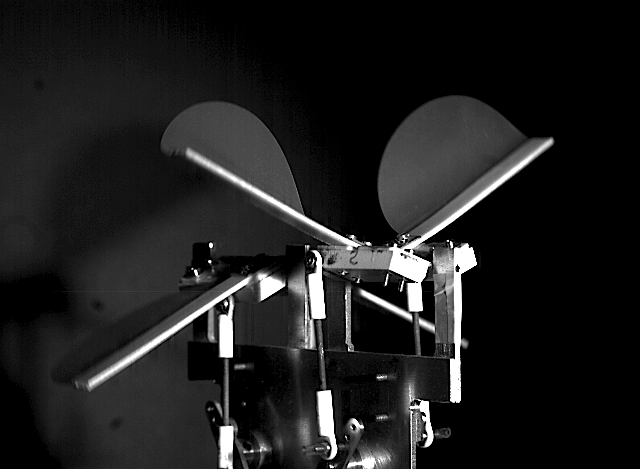 In the present thesis, we aim at studying how a flapping elastic structure generates thrust, using two experimental biomimetic models. The first setup is a simplified mechanical insect with flexible wings, and the second one is a swimmer whose elastic body mimics the undulating motion of an eel. 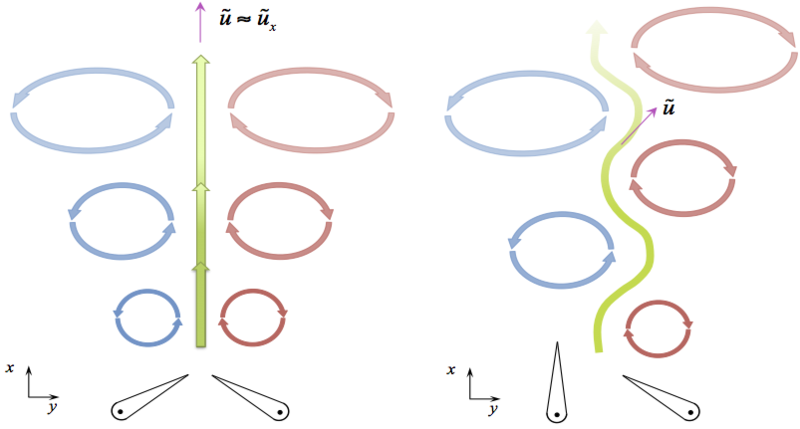 We show that propulsive performance is significantly influenced by the way the systems passively bend, and that their elastic response can be described by simplified theoretical models of forced oscillators. 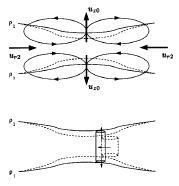 Those models also bring forward the crucial role of the quadratic fluid damping that resists the flapping motion. This result introduces the counter-intuitive idea that it is sometimes desirable to dissipate part of the energy in the fluid, in order to improve performance. S. Ramananarivo; R. Godoy-Diana & B. Thiria. Journal of the Royal Society Interface 10 : 20130667 (2013). G. Bimbard, D. Kolomenskiy, O. Bouteleux, J. Casas & R. Godoy-Diana. 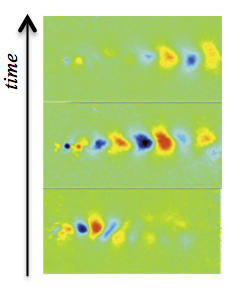 Journal of Experimental Biology, 216 : 3551-3563 (2013). C. Marais; B Thiria; Wesfreid, J. E. & R. Godoy-Diana. 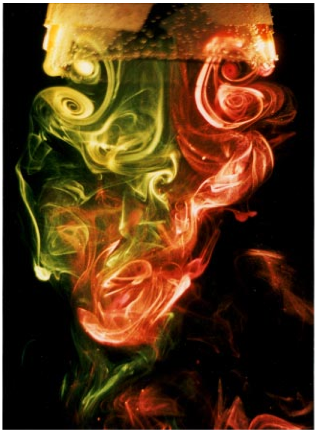 Journal of Fluid Mechanics, 710 : 659-669 (2012). Proceedings of the National Academy of Sciences (USA), 108 (15): 5964-5969 (2011). 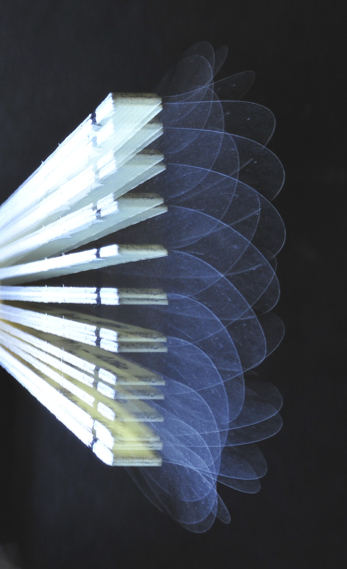 This thesis deals with the fundamental mechanisms implied in flapping based propulsion systems. We use a simplified model, which consists of a flapping foil, placed in a hydrodynamic tunnel. This set up allows us to establish a framework for the analyse of wakes produced. Particularly, we are interested with the influence of the foil flexibility on these wakes. 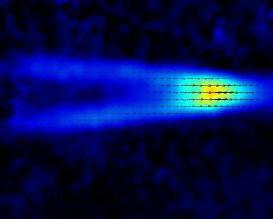 We define a 2D phase space (frequency and amplitude of the flapping), in which we identify three main flow regimes, associated with three vortices wake type. 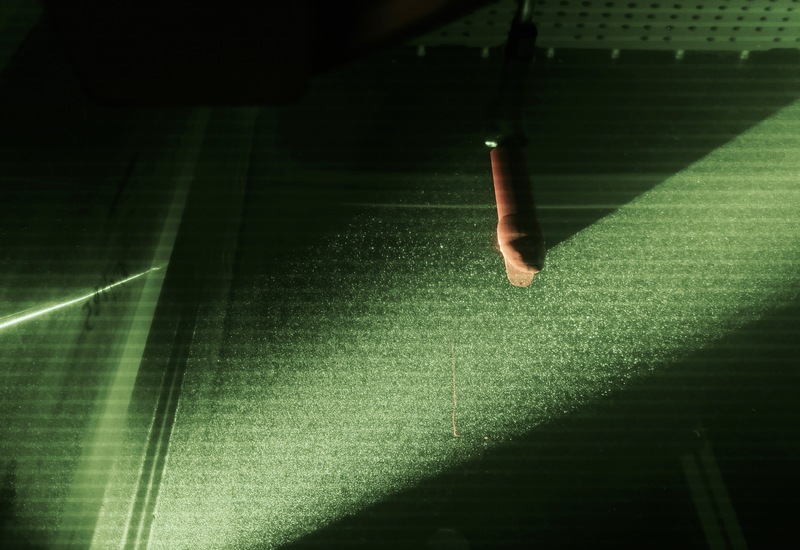 The PIV technique allows us to precisely analyse and quantify the physical and geometrical parameters of the observed wakes. The mean force is estimated for each regime, using a standard momentum balance. 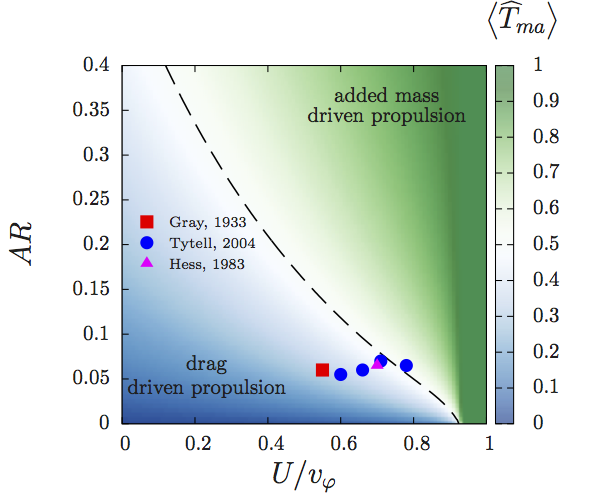 We localise then the drag-propulsion transition in our phase space. We show that the propulsive performance of flexible foils is superior to that of the rigid foil, and we suggest some explanations to explain this result. B. Thiria & R. Godoy-Diana. Physical Review E, 82 : 015303(R) (2010). R. Godoy-Diana; C. Marais; J. L. Aider & J. E. Wesfreid. Journal of Fluid Mechanics, 622 : 23-32 (2009). R. Godoy-Diana; J. L. Aider & J. E. Wesfreid. Physical Review E, 77 : 016308 (2008). R. Godoy-Diana; J. M. Chomaz & C. Donnadieu. Journal of Fluid Mechanics, 548 : 281-308 (2006). R. Godoy-Diana; J. M. Chomaz & P. Billant. Journal of Fluid Mechanics, 504 : 229-238 (2004). 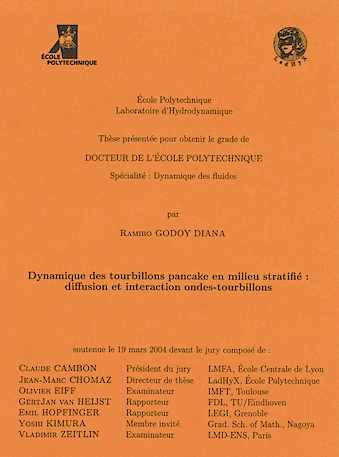 I did my PhD at LadHyX during 2000-2004 supervised by Jean-Marc Chomaz. 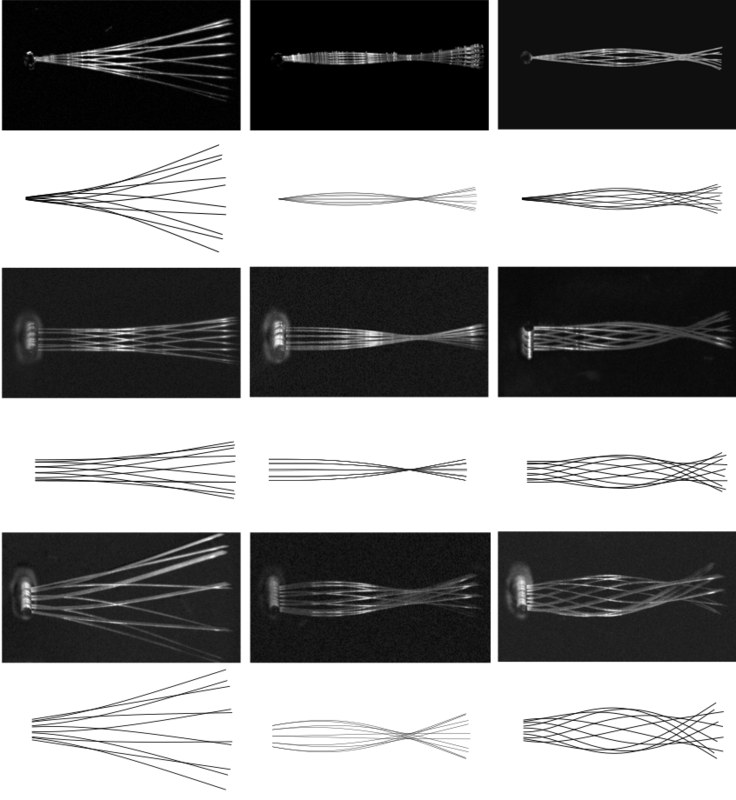 My dissertation was an experimental and theoretical study of the dynamics of pancake vortices and their interaction with internal gravity waves in a strongly stratified fluid. Abstract. 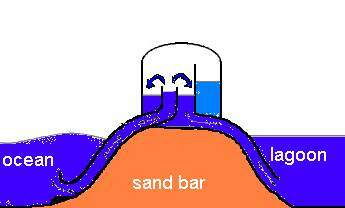 Stably stratified fluids give rise to distinct internal wave modes and potential vorticity modes (PV). 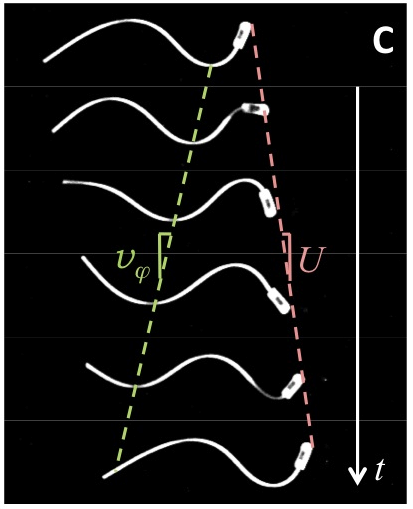 The timescales relevant to these two types of motion separate when the stratification is strong: Internal waves propagate on a fast timescale based on the buoyancy frequency (TN = N-1) while a slower timescale in terms of the horizontal advection —TA = Lh/U, where Lh and U are the horizontal length scale and mean velocity of the horizontal motions— characterizes the evolution of vortices. 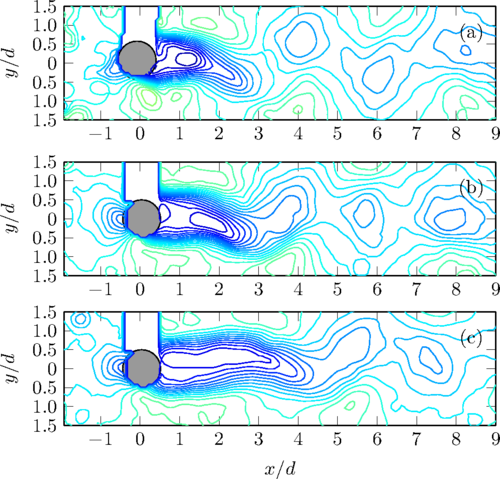 An illustration of the difference between these two modes can be observed in turbulent regions decaying in presence of background stable stratification : As vertical motions are suppressed, energy is either radiated as internal waves, which propagate away from the initially turbulent region, or transferred to horizontal advective motions which are finally organized as patches of potential vorticity. 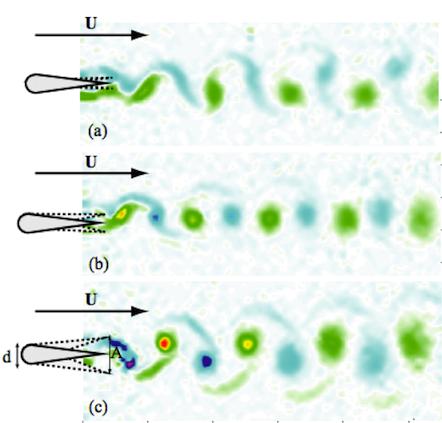 This thesis presents a theoretical and experimental study of the interaction between pancake vortices (representing the PV mode) and internal gravity waves in a strongly stratified fluid, and of the diffusive mechanisms of pancake vortices. R. Godoy-Diana & J. M. Chomaz. 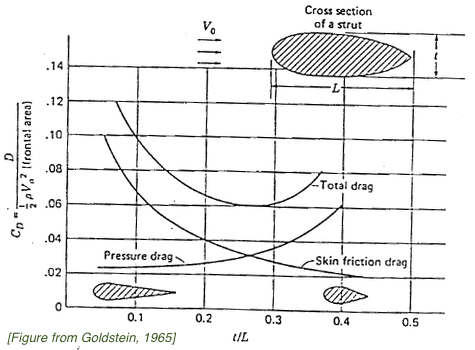 Physics of Fluids, 15 : 1058-1064 (2003). C. Stern; S. Czitrom; E. Prado & R. Godoy. Revista Mexicana de Fisica, 46 : 409-410 (2000). C. Stern; S. Czitrom & R. Godoy. 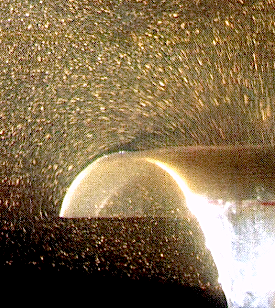 Physics of Fluids, 11 : S3 (Gallery of Fluids) (1999).